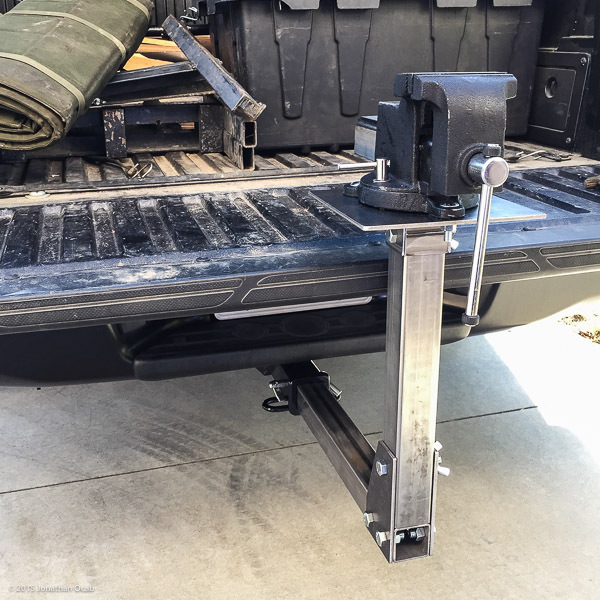 I wanted to have a small bench vise to keep in the truck so I could work on firearms and what not. The bench vise in combination with vise blocks make a nice platform for cleaning or working on the AR-15 platform. This photo is of a result of a weekend project to create a hitch mount for a bench vise. There are generic mounts for trailer hitches that are level with the hitch, but I also saw the Portavise via web searches, and decided to get the materials for building a mount styled after the Portavise. Total cost of the materials was about $35. I will post more pictures of this vise in the near future since I am in the process of writing series of posts on firearms cleaning.